My blonde balayage has finally had an upgrade and I'm so excited to say it was at the beautiful STIL Salon in Notting Hill. I am very low maintenance when it comes to my hair. My hair is long and I love having bit of colour through it to give it some texture. I have never dyed my whole head of hair, because I'm not sure I could deal with the upkeep but an ombre or balayage gives me that something something I need. If you've followed my blog for a while you might just know a bit about my hair history. I used to dye my hair at home with that classic L'Oreal Wild Ombre box dye that everyone used to use, then I finally ventured out to a salon to upgrade the ombre into something a little more natural - the balayage. I have kept this up for a few years now, but I have to say my experience at STIL Salon has blown my mind. 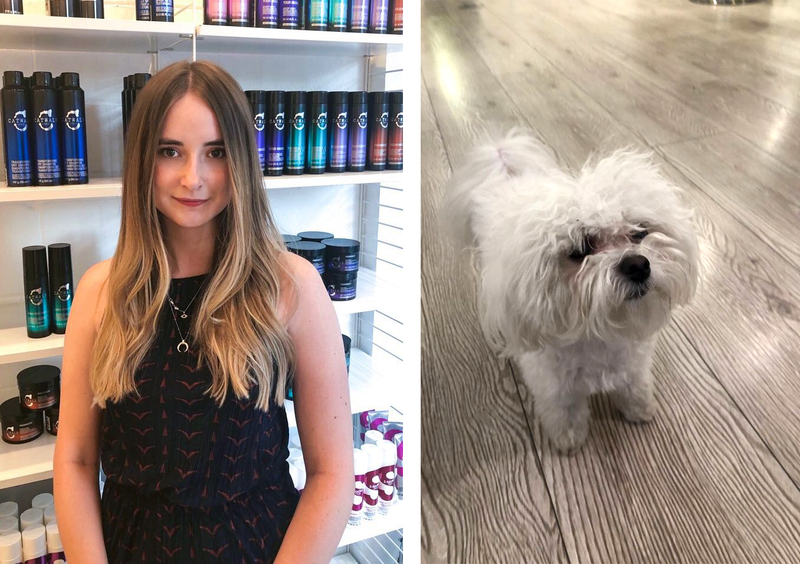 From the super friendly team, to the interior of the salon and the serious skill to get the finished look and of course not forgetting the cute pup Bertie - I think I may have just found a new favourite salon as they seriously hit the nail on the head with the colour and cut I was going for this time around as everything is personalised. Trying something (and somewhere!) new with your hair can be a little daunting, but if you come along to STIL, I promise you you'll be in safe hands. 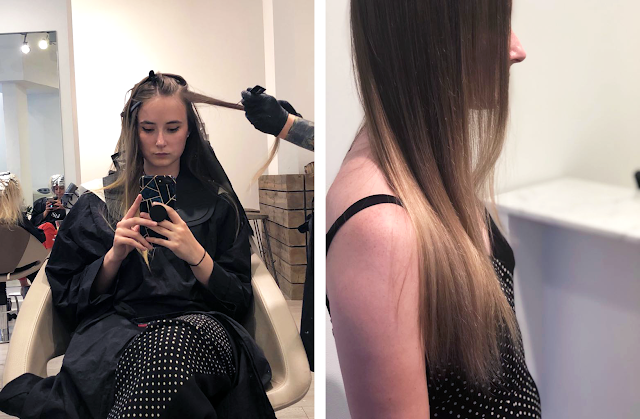 I first visited the salon a few weeks ago to meet Craig Clark, my colourist (the INCREDIBLE Colour Director at STIL Salon) to talk through what I wanted and get a patch test. I arrived and was greeted by the Front of House Manager, Andrew - who I have to say makes the experience SO much better. Every salon should have an Andrew. He is so attentive, so kind and genuinely cares for everyone. Craig then talked me through the current trends and the type of blonde he recommended for my balayage, matching the colour and tone to my skin and eye colour. This is so clever and makes so much sense to me - and as the customer it's so nice understanding the thought process behind this and really trust that the colour is going to suit you personally which makes the whole experience so much more relaxing. We decided on their Lumiere Lights service (similar to balayage but it's a freehand, grading colouring technique designed by STIL to lighten the hair effortlessly and naturally) with some Contouring to enhance my facial features. After the patch test, I headed home excited to return in a few days to get my colour on. I actually ended up getting my cut and colour done separately due to terrible time management on my side (but Andrew helped to organise this with no problem). Craig talked me through our thoughts on the colour again to ensure I was comfortable with the tone and to confirm what we were going for today. The experience was super comfortable and oh boy, the finished look was even better than I could have imagined. 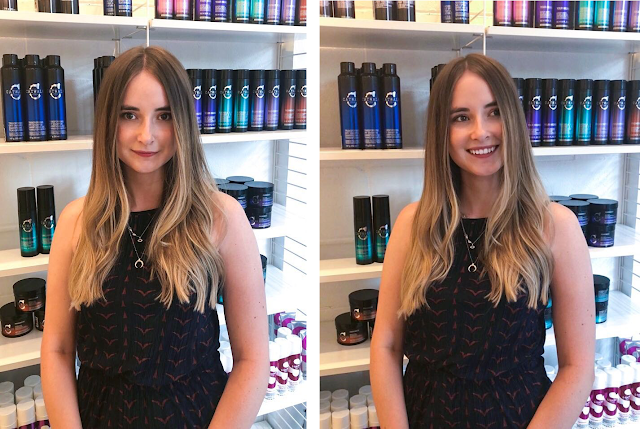 Craig used the TIGI Copyright Custom Care Repair range to wash out all of the dye and toner while repairing and hydrating my hair at the same time ensuring it's condition is still great post-colour. The blend was perfect, as was the tone, it matches my skin tone perfectly and I am so happy with the results. Forget dreaming about how much you're going to like it when it 'grows out a bit', I was just so incredibly happy with it from the get go. I had a chat with Federico about what I was after and he suggested the best way to get there and how to make it suit me and I'm so pleased I went with what he suggested. I had a little bit of shape put in at the front while still keeping a lot of the length. We got rid of all of the split ends and gave my locks the refresh it needed. In fact, my hair feels so soft I've been stroking it since. Okay, okay - you've kind of got the gist of how much I loved my cut and colour at STIL Salon but I really wanted to let you know why it was so great. 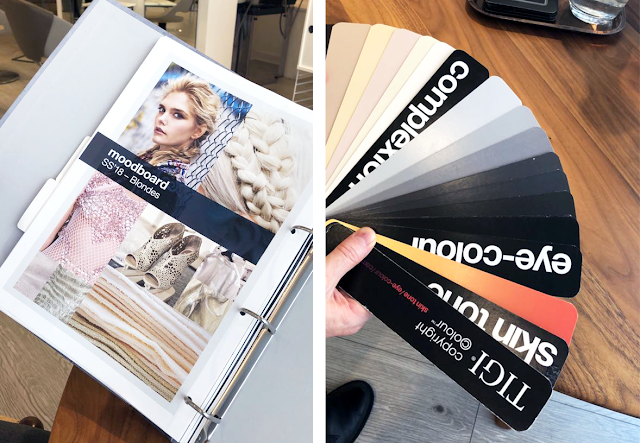 They ensure that each cut and colour is tailored to you - and that you know about it - meaning you come out with a new look that truly suits you. It's such a clever technique and seriously ensures you're happy with your look day after day. In fact, I think I'm a little bit hooked on STIL and I just know where I'll be returning when my hair needs it's next upgrade - and of course, I'll make sure to tell you about it. From the instagram-able Scandi design, to the skilled handiwork of the stylists and colourists, to the friendly welcome with Andrew and the cutie dog, Bertie. Salon Founder and Creative Director, Christel Lundqvist has really hit the nail on the head with this salon space. 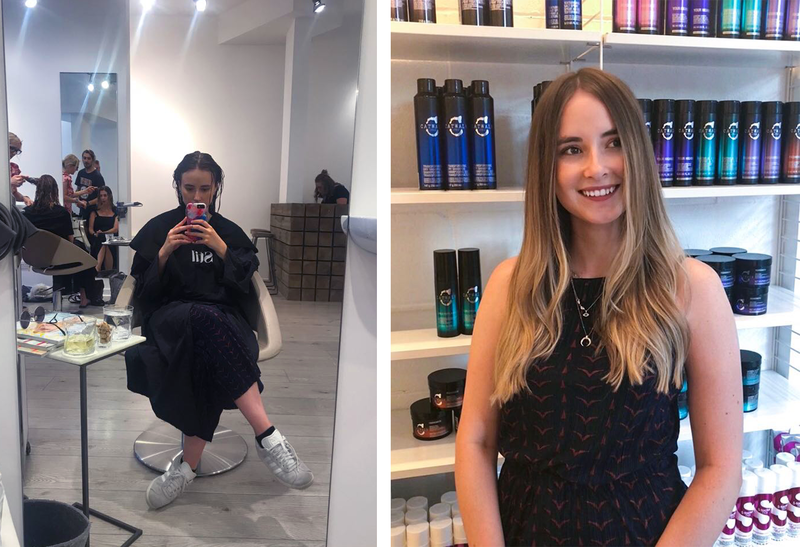 If you're looking for a hair upgrade, I seriously can't recommend STIL enough. I am blown away by it all. Book your appointment/consultation here now.